Dr. Hp Singh is one of the best Orthopedists in Bye Pass Road, Amritsar. 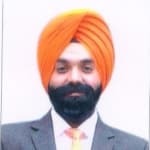 He is currently associated with Dr. HP Singh in Bye Pass Road, Amritsar. You can book an instant appointment online with Dr. Hp Singh on Lybrate.com. Lybrate.com has a number of highly qualified Orthopedists in India. You will find Orthopedists with more than 29 years of experience on Lybrate.com. Find the best Orthopedists online in Amritsar. View the profile of medical specialists and their reviews from other patients to make an informed decision. I am 41+ male I feel tiredness regularly my legs very painful full days my weight as 90+ doctors say normal complete blood profile done normal hb is approx 12.5 blood plsure 82-121 but no doctors say any problem but I have very pain in legs and tired ness. Loose some weight. Sleep on a hard bed with a soft bedding on it. Any way take caldikind plus (mankind) 1tab odx10days rule out diabetes & vit. D deficiency or any other metabolic disorder. Paracetamol 250mg od & sos x 5days do knee exercises. It may have to be further investigated make sure you are not allergic to any of the medicines you are going to take. I have Knee Osteoarthritis and have been doing physiotherapy exercises and am also on pain relief medication when I get pain. I walk daily about a kilometer in about 16- 18 minutes in both morning and evening. I have been advised to undergo for total knee replacement surgery which I am prolonging by physiotherapy and pain relief medication since last two years. I was, diagnosed of OA about six years earlier. I would like to know if there is a cure for OA without operation. My age is 73, male with 70 kg weight and 5 ft 8" height. As per my frame I should weigh about 65- 70 kg. Apart form OA I do not have any disease like High BP or Diabetes etc. I am assuming that the advice is free and non binding to me. A type of arthritis that occurs when flexible tissue at the ends of bones wears down. The wearing down of the protective tissue at the ends of bones (cartilage) occurs gradually and worsens over time. Joint pain in the hands, neck, lower back, knees or hips is the most common symptom. Osteoarthritis Treatment: Homeopathy helps to slow down the process of joint pain (osteoarthritis) & also gives a long term relief in pain without side effects. I have uric acid problem. My uric acid level is 7.2 My toe is very painful. In morning when I wakw up from bed or after sitting in one place for long time I am unable to work properly. Lower part of my leg very painful. Please suggest how to overcome from this pain. Mr. Lybrate-user you should take benzoic acid 30 thrice in a day and urtica urens q 15 drps twice in a day avoid pulses and fruit. I want to consult for knee pain. I have pain in knee and around. I used to play badminton but due to pain I have to stop playing. Now when I try to play I feel pain and have to stop. I have tried physiotherapy but not giving results. Sir I have dark circles below my eyes. what is reason behind it and also I am suffering from back pain from last 3 months. Hello, Common reasons for dark circle are aging, genetics, nutritional deficiency (of vitamin A, C, K, E) , sleep deprivation, worm-infestation, anemia, smoking & drinking, dehydration, sun exposure, allergies, stress/ tension and hormonal changes. Research also suggests that dark circles are linked to anemia, and liver diseases. So, in case of dark circles which are there due to some underlying cause can be get rid rid of once the causative factor is rectified. But the dark circles which are inherited from our genes can't be removed completely, to some extent can make slightly better. Diet and Management: Thus, always take a balanced diet rich in green leafy vegetable, dairy products and all types of fruits to keep your body healthy. It is advisable to have at least 10-12 glasses of water and include fresh fruit daily. It is also advisable to restrict the intake of caffeinated drinks such as tea, coffee, alcohol and other caffeinated drinks as it aggravates dehydration. Take enough of 6-8hrs. Of sleep. Avoid taking stress/ tension. Do daily exercising regularly as it increases oxygen carrying capacity of the cells and tissues. Medication: Take homoeopathic medicines – Schwabe's Cina 1M/ one dose at night for 10 days; Alfaalfa Tonic and Five Phos. - both twice daily for 20 days. Revert me back there after. I am 20 years old. I have been suffering from lower back pain since 4 years. And I do not use any pain killers. So please advice me what to do. Back pain has become very common these days because of daily life style and day today activities. It can be due to various reasons any injury, muscle strain eg-sudden twist while lifting object, bad posture, overuse of muscle or any internal disease like spondylitis, infection etc. Many of the problem occurs for which we are not aware. Health problem usually occurs because of living style and bad / incorrect sitting/standing posture. After looking at your pain I am recommending you some precautions and treatment that will be very effective. Precautions: 1. Avoid forward bending, if required then bend your knees first and then bend forward. 2. Avoid weight lifting. 3. Sit in chairs or car seats with proper back support. 4. Try to sleep in a position that helps you maintain the curve in your back like sidelying. 5. Get enough vitamin d from sun as vitamin d keep bones strong including spine. 6. Drink plenty of water to enhance the inter vertebral disks 7. Avoid standing in the one position for a long time. 8. Try to sleep in a position that helps you maintain the curve in your back. 9. Avoid stress full activity. When pain is less or no pain make a habit of morning walk atleast for 20 minutes to get fresh air in body which is really beneficial to keep fit and healthy. Meditations is an extra advantage along with walk. Physio care: I would recommend you for i-care treatment that is especially for back or neck pain. Rest required but it doesn't mean a complete bed rest. Do not over exert your body. Work take rest and then work so that you do not feel tired and started paining. Treatment- 1. Apply ice or heat which ever suits you directly to the area of low back pain will decrease swelling and inflammation, and ease your discomfort. Apply it for 10 to 15 minutes only. 2. Relaxing for 5 minutes after ice or heat treatment. Massage - ask someone to massage your painful area using fingers or thumb. Massage using kneading technique. Slightly press the thumb and start rotating as it helps to induce relaxation, relieve pain, and reduce levels of stress chemicals, such as cortisol and noradrenaline. It will give you pain relief for time being. 3. After massage again relax for 5 min and apply any pain relieving ointment eg - volini or oraflame gel etc. Make sure not to do massage with the gel, it should not penetrate the body. Just a topical application of gel should be done. 4. Again relax your body for 5 minutes an7. Consult skin specialist for further advice. D perform some normal back extension and hamstring stretching exercises to get relief from your pain. While performing exercises if pain occurs then would recommend you to stop doing exercise. Massage or slightly rub the painful area and consult your near by physio to diagnose the actual cause of the pain as he/she can guide you proper exercise plan which will be beneficial for you after checking grade of your back pain. I am 47 years old. I am having severe pain in my left heel for the past 6 months. Dear, Everyday take warm water in tub, add a pinch of salt into it. Dip it for 30mins. Take out your toes and dry it properly. Just put a thin filament of any ointment like moov. Volini etc n wear socks for 35mins. Do not rub it. Do it for 7days. See the difference then. Thanks. Hello, I am 37 years old female. Suffering with neck pain which is continuing to full back pain and feel some pain in the brain nerves I suppose. Feeling uncomfortable and pain is increasing when I go for sleep. Should I use my pillow or not while sleeping? Or what is the reason for this pain. I applied volini on my neck two days in the night but once I get up in the morning, my pain is still there with back pain, neck pain. What should be done? Please let me know immediately. Dear Ms. Lybrate-user, your problem seems vague and needs an assessment. The pain may be because of posture and your lifestyle. You can go for an x-ray and rule out any problems related to the vertebrae. If you have headache as well and is persistent then you must also go for an mri. Visit a nearest physiotherapy clinic and get yourself assessed. Am having some issue with my right elbow when I try to litt some weight its not allowing the to should should I do. My grandmom had fever for two days now temperature in low but she is suffer extreme pain on leg joint she could barely walk and balance herself she can not walk and is sleepless I am worried. Short arcs: lie flat on your back or sit upright with your leg placed horizontally on a flat surface like a chair or bed. Place a rolled up towel under the knee. Pull your toes towards you and clench you thigh muscles. Slowly lift your foot up off the bed until your knee is straight (keep your knee resting on the towel). Hold for 3 secs and slowly lower them on the chair. Repeat 10 times twice a day. Straight leg raise: lie flat on your back. One leg and knee will be straight and other leg should be bent. Pull your toes towards you and tighten/clench the muscle on the front of the thigh, locking your knee straight. Lift your foot up in the air, about 6 inches off the bed. Hold for 3 secs and slowly lower the leg. The knee must remain straight the whole time you are doing this exercise.